The study of the effect of cassia siamea aqueous extract on the spleen was carried out on the Wister strain rats of about 16 in number, were of different sexes. They were divide into 4 different groups (Group A- D), where Group D served as the control. The extract was given to the rats orally in various quantities ranging from 500-900mg/kg as follows: Group A were administered 900mg/kg Group B were administered 750mg/kg Group C were administered: 500mg/kg Group D served as the control for the study. 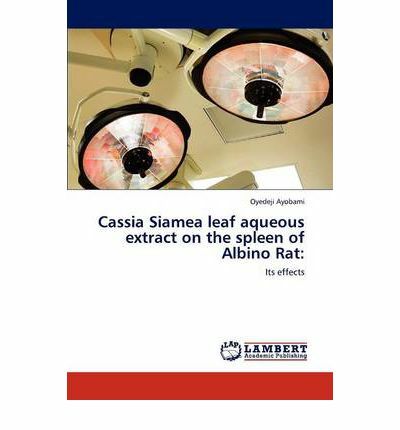 The result from the study showed that cassia siamea extract had effect on the spleen. It caused hyperplasia on the red pulp and on the white pulp of the tissue in groups A to C. But in group D which is the control group, it showed normal cells of the spleen. The extract had a toxic effect on the spleen.